American agriculture is at a unique crossroads. Prices for staple commodity crops like corn, soybeans and wheat have slid back from their record-breaking highs between 2008 and 2014. Average farm household income is still well above that of non-farm households, but the decline in crop prices has spurred worry in farm country. Thankfully, there is a parallel story that couldn’t come at a better time for American farmers: organic. Driven in large part by the multiple environmental and health benefits, Americans’ appetites for organic food is seemingly insatiable. In less than two decades, sales in the organic sector have grown from $3.7 billion in 1997 to more than $43 billion in 2015. 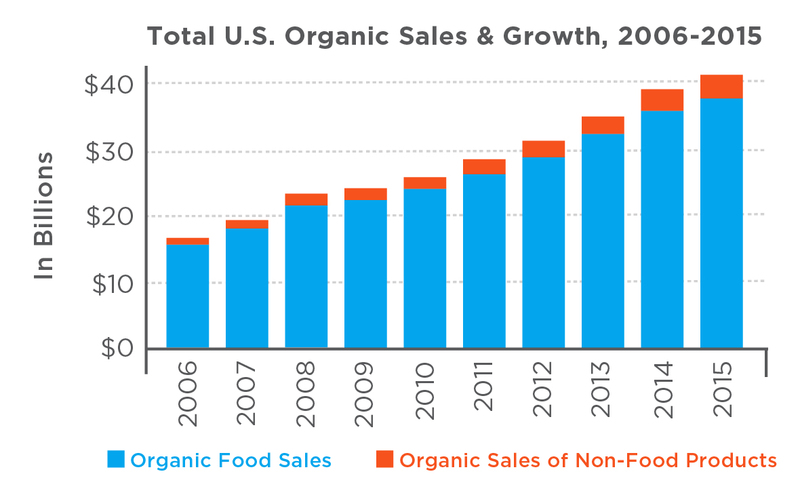 This double-digit growth nearly every year makes the organic sector one of the fastest growing segments of the food industry. The gap between supply and demand means many American organic food companies have turned to foreign suppliers to meet demand for staples like soybeans, corn and rice. According to analysis by the Organic Trade Association of data from the U.S. Department of Agriculture’s Global Agricultural Trade System, in 2014 the U.S. imported roughly $1.2 billion worth of organic products. For comparison, organic exports were roughly $550 million. 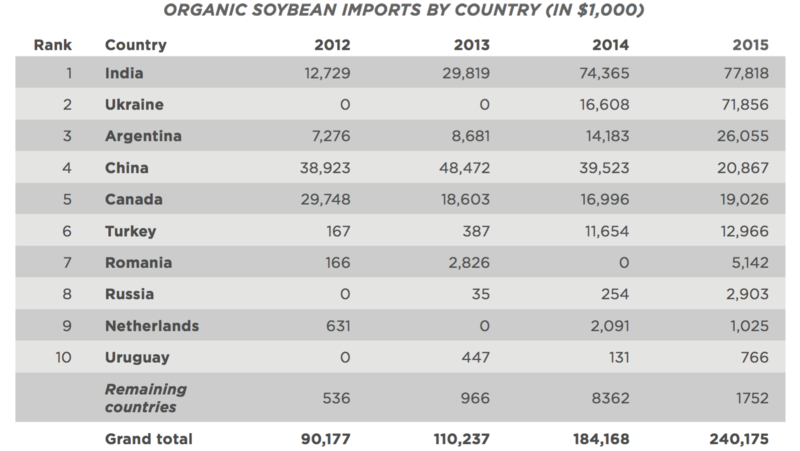 While the U.S. proudly stands as the largest producer of conventional soybeans in the world, in 2015 the nation imported more than $240 million of organic soybeans. 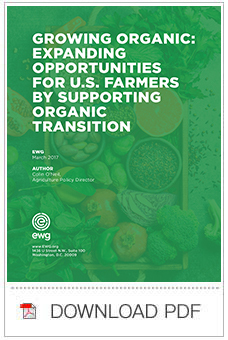 Reform the Environmental Quality Incentives Program Organic Initiative to provide organic and transitioning producers with the same level of support as the general funding pool.